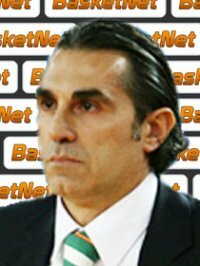 BC Khimki Moscow Region announced a mutual agreement with head coach Sergio Scariolo to terminate his contract, the club announced Monday. Scariolo arrived to Khimki in December 2008 and led the club to the Eurocup final that season and a spot in the Euroleague for 2009-10. He guided Khimki to the Euroleague Top 16 in the club’s Euroleague debut. Scariolo led Khimki to a perfect 6-0 record in the Turkish Airlines Euroleague Qualifying Rounds earlier on this season, but the team ran out of chances to reach the Top 16 with a road loss against Partizan mt:s last week. Khimki has a 3-6 record in Group A. Khimki is tied for third place in the Russian League with a 4-2 record. The team has been to the Russian League finals in both of Scariolo's seasons with the team. "I want to thank our general manager and all the Khimki family for these two years. We did many good things during this time and Khimki is still in the group of teams that leads the Russian League," Scariolo said. "It is a very difficult decision for me, but at the same time, I believe that it was the best thing to do for me and the team." "We want to thanks Sergio for his good, serious work in the last two years. We took this very difficult decision together with him," Khimki general manager Victor Bychkov added. "We hope it will help it will shake up the team and BC Khimki will have a successful run in the Russian League."